For Annual Members only. Register to get access. 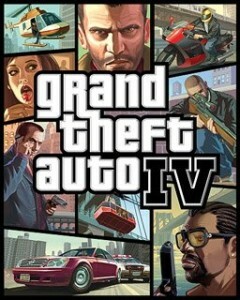 Grand Theft Auto 4 (GTA 4), is one of the most successful versions of the most successful and controversial video games franchise of all times. The story develops in a so called Liberty City, which, in fact has a map of several boroughs of New York. The game graphics offers impressive detail, including different architecture of building, cars, which are not only different make but even visibly different age. Weeds growing in the cracks of the sidewalk, and other. The game also has impressive artificial intelligence, with people behaving natural, walking, running, speak to each other, lighting, crying, etc. The story is about an Eastern European immigrant Niko, who arrived the Liberty City with good intentions of becoming a good citizen, but soon has to enter the criminal world of a big city.